If you set off on one of the branch lines after the morning peak and will be coming back the same day, get an Off-Peak Day Return. These are perfect for exploring a line in one day. You can can hop on and off at stations along the way, as long as you keep going in the same direction of travel. They’re great value and there’s no need to book in advance – it’s the same price if you buy on the day. Off-Peak tickets are available all year round. 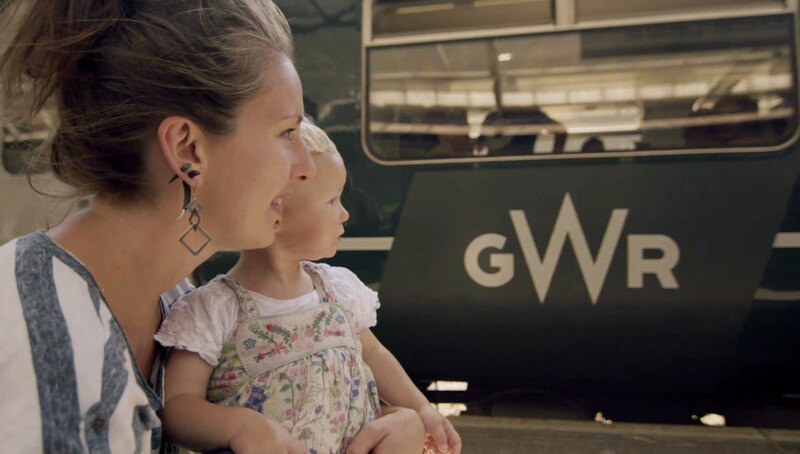 For other fares or to look up train times, visit the GWR website. 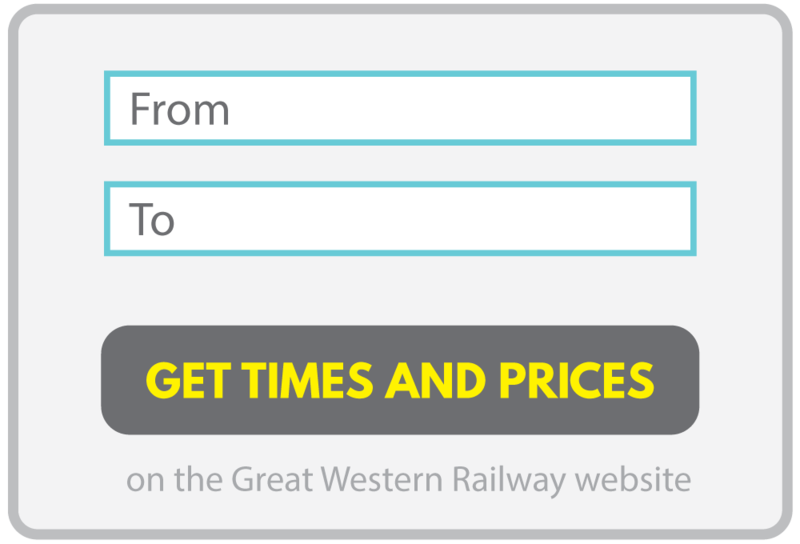 For other fares or to look up train times, visit the GWR or South Western Railway websites. If you’re travelling from a station that has a ticket office or ticket machine, you must buy your ticket before you board the train. If you’re getting on at a station that doesn’t have these facilities, buy your ticket on the train from the guard. If you’re travelling from further afield, you should buy your ticket in advance to get the best price. Tickets can be bought up to 12 weeks in advance. The earlier you book, the cheaper it can be. Buying a ticket for a long distance journey on the day will mean paying the walk up fare which can be very expensive. If there are three or more of you travelling in a group, buy your ticket together to get the GroupSave discount and save a third. Find out more. 5 to 15 year-olds get 50% off. Over 15s are classed as adults, but are eligible for a 16-25 railcard. It's also worth checking out the Family & Friends railcard. Under 5s travel absolutely free. Read our top tips about taking children on the train, including handy advice on buggies, parking and more. The Ride Cornwall ticket gives you one day’s unlimited travel on all rail and most bus services within Cornwall and between Cornwall and Plymouth (plus the Tamar Valley Line). It is valid on GWR trains, CrossCountry trains and First Devon & Cornwall buses. Read full details on the National Rail Enquiries website. 2. Under 'Geographical Area' select 'South West England' and enter your travel date and passenger information. 4. Look for 'Ride Cornwall' in the list, select it, and click 'Buy now'. The Ranger covers all routes in Devon, plus the Tamar Valley Line. It is valid after 09:00 (or whenever the Off-Peak Day Return is available, whichever is earlier) on weekdays, any time on weekends and Bank Holidays. 4. Look for 'Devon Day Ranger' in the list, select it, and click 'Buy now'. The three-day ticket is valid on any three days of your choice within a seven-day period. The eight-day ticket is for any eight days within a 15-day period. Valid after 09:00 (or whenever the Off-Peak Day Return is available, whichever is earlier) on weekdays, any time on weekends and Bank Holidays. Read full details about the three-day and eight-day tickets on the National Rail Enquiries website. 4. Look for your desired 'Freedom of Devon & Cornwall' ticket in the list, select it, and click 'Buy now'. The three-day ticket is valid on any three days of your choice within a seven-day period. The eight-day ticket is for any eight days within a 15-day period. Valid as far as stations including Bristol, Cardiff and Swindon. Valid after 09:00 (or whenever the Off-Peak Day Return is available, whichever is earlier) on weekdays, any time on weekends and Bank Holidays. 4. Look for the appropriate 'Freedom' ticket in the list, select it, and click 'Buy now'. Plusbus can be added to your rail ticket to give you unlimited bus and tram travel (on nearly all operators services) around the urban area of the town or city where you are beginning or ending your rail journey. Read full details on the Plusbus website. You can buy Plusbus with your train ticket at any National Rail station ticket office or online. It can also increasingly be bought from self-service ticket vending machines at stations. Find out more on the Plusbus website. Get a third off throughout the whole year on Standard and First Class Anytime, Off-Peak and Advanced fares. Available railcards include: 16-25 (Young persons), Two Together, Family & Friends, Senior and Disabled. Read full details on the Railcard website. You can buy a national railcard online or at staffed stations. For just £11 per year, this card gives Devon and Cornwall residents a third off most Standard off-peak tickets for you and a friend when travelling in the two counties.